I have been hunting down the hidden animated gems from 2014. Today is probably the most prominent hidden gem as it has an Oscar nomination: The Song of the Sea. 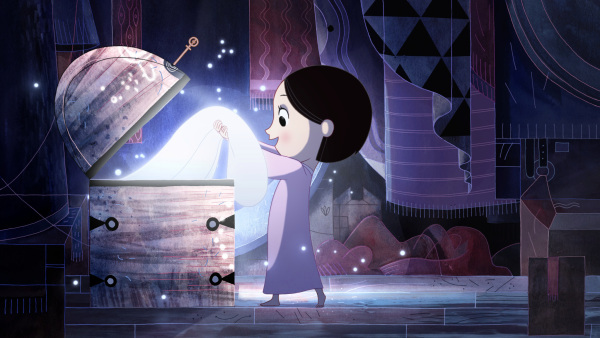 It is from Cartoon Saloon and distributed by Gkids Films directed and written by Tomm Moore. It is the same team who made the lovely Oscar nominated Secret of the Kells in 2009. 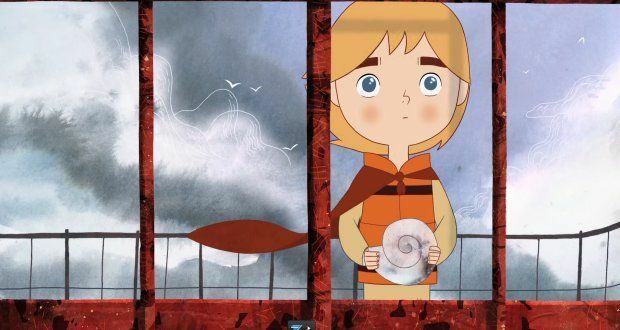 As wonderful as Kells is I think Song of the Sea is even better. I can’t remember the last time I cried so much in a movie and in a good way. In a ‘I love these characters and I’m involved in the story’ kind of way. It is the 3rd animated film in 2014 to deal with subjects of death, grief and loss in a mature and beautiful way. I was really moved by it and wish more people would see it. There will be some spoilers but I will try to keep it to a minimum. The main story is about a family that lives on a small island running a lighthouse. At the opening little boy Ben loses his mother to childbirth with his sister Saoirse. We then quickly move up and find out she is an odd child who at 6 has never learned to talk. Ben resents his sister and he constantly carries around his mother’s book of Celtic legends. The stories focus on a myth called the selkie which if you’ve ever seen The Secret of the Roan Inish it is the basis for that movie as well. The selkies live as both seals and humans and they have a power which animates everything including other magic like fairies. The characters then go on a journey where they face peril, meet an Owl witch, some more friendly fairies and learn much more about Saoirse, Ben and their Mother. (I really don’t want to give much else away). As you can tell from the photos on this post the animation is gorgeous. It flows and never makes the easy choice. Everything has the feel of a wave because that is the power of the selkie myth. There is a scene where Ben must say goodbye to his Mother and just writing about it now makes me tear up. It really moved me. The only thing I can think to relate it too is in Harry Potter when Harry has to stop looking in the Mirror of Erised and has to say goodbye to his parents. It’s that kind of emotion. In front of me at the theater there were two little girls maybe 4 and 6. They were very chatty but it was kind of interesting to hear their reactions. It definitely scared both of them at certain points and they were pretty upset. 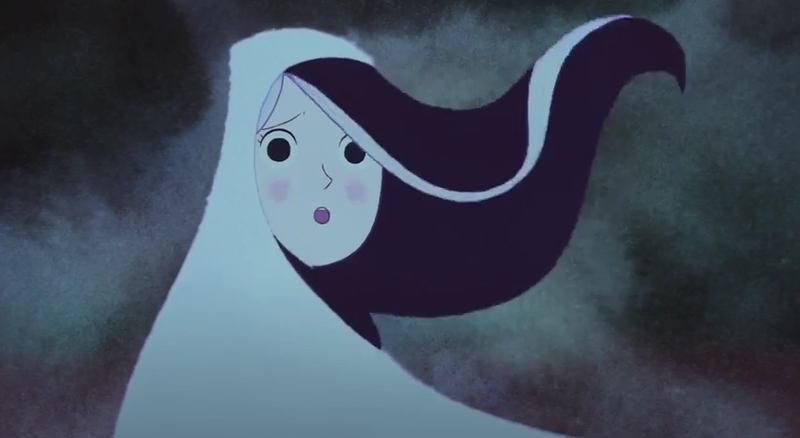 Song of the Sea also has some jump scares and very tense moments that build. They were asking their Mother if so and so character was going to be ok, very worried. 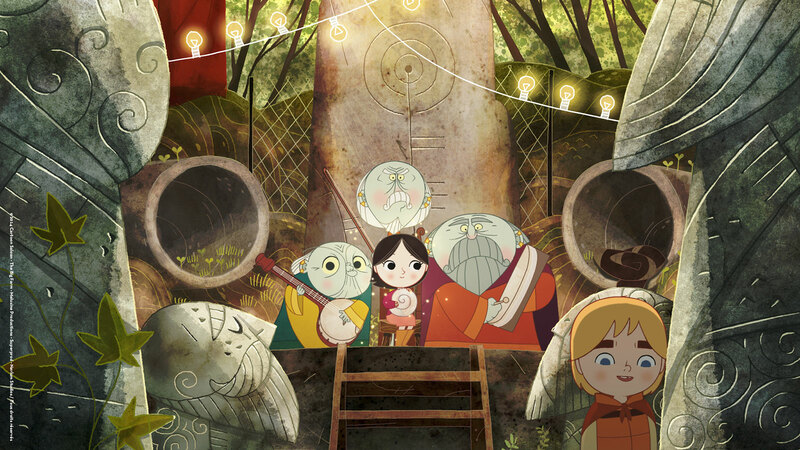 That’s really the only downside to Song of the Sea is it is pretty sad and scary in spots. Characters go a lot of the movie heads hanging down in mourning. This would not be the movie to put on for the kids birthday party or for a lively sleepover. However, it would be good for a Sunday night movie viewing where there is time to discuss more challenging concepts with kids and get their thoughts. Save comedies like Lego Movie, Penguins of Madegascar or Spongebob for the parties and use Song of the Sea for a quieter softer parenting moment. If you can get out to the theaters and see it I would implore you to go. Support hand drawn and smaller animation at the box office. 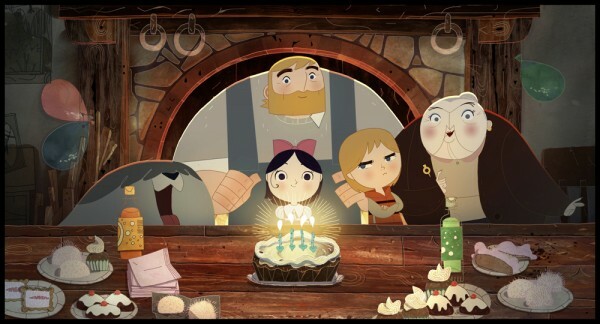 Movies like Song of the Sea deserve a wider audience. I would love if we could get out of having a 2 system animation world and embrace lots of different studios and ideas. That would be amazing! I loved it. I was really moved by it. It made me cry and laugh on occasion. It’s sad but it is not a downer. It is so hopeful and peaceful even in the sad moments that you don’t feel manipulated with your tears. It was stunningly beautiful and even though I got lost from time to time in the Celtic lore it didn’t really matter because I knew enough of what was going on to root for our heroes. The voicecast is also good with David Rawle, Brendan Gleeson, Fionnula Flanagan, Lisa Hannigan and Lucy O’Connell. I just wish more people would see it. 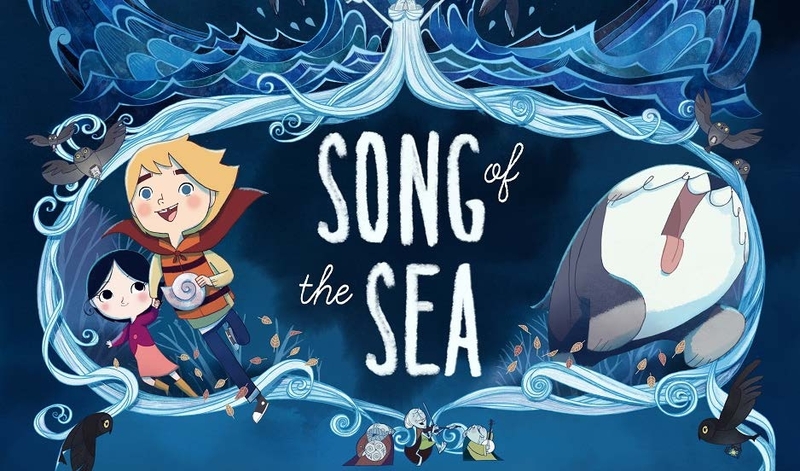 I went into Song of the Sea wondering if it was worthy of the nomination over Lego Movie (which I loved). They are so different but yes Song of the Sea deserved it over Lego (Boxtrolls which I also loved should have been left off). 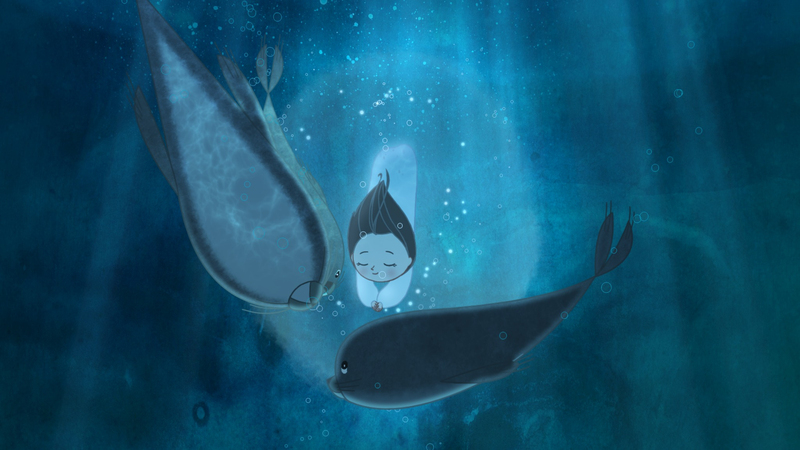 Song of the Sea is one of the best animated films I’ve ever seen. Yep. I will use that hyperbole. I loved it! The music by Bruno Coulais and Kiia is pitch perfect. Like I said the only thing to really consider is if it might be too sad for very young children and when is the best time for a more thoughtful picture for our kids. I bet they will love it too! I think it is better than Princess Kaguya in both artistry and story and that’s saying a lot. My youtube review. Got emotional talking about it. I just love the animation! I’m still mad I missed it when it played in NY!! I want to watch this so bad. How did you watch it? VOD? No there is a great little independent theater in Salt Lake that had it so I went there on Friday. It’s on DVD/Blu-ray March 17th. Pingback: It’s All About the Story | Reviewing All 54 Disney Animated Films And More! Pingback: Best of 2014 Revisited | Reviewing All 54 Disney Animated Films And More! Pingback: Did the Right Film Win? 2009 Animated Oscars | Reviewing All 54 Disney Animated Films And More! Pingback: Is Animation for Children? 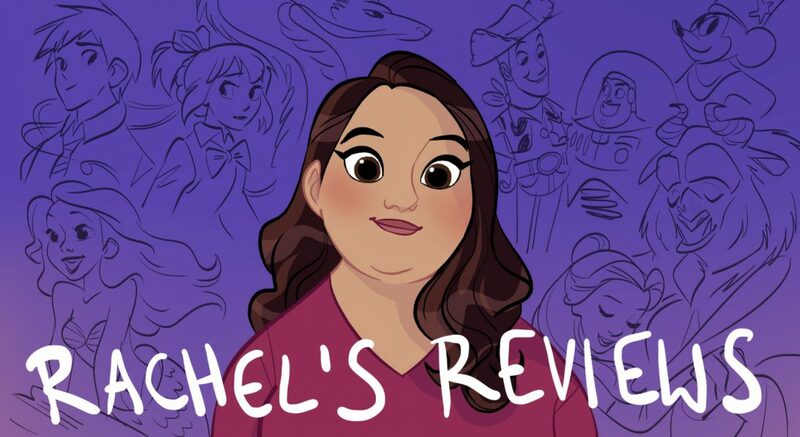 | Reviewing All 54 Disney Animated Films And More! Pingback: Did the Right Film Win? 2014 Animated Oscars | Reviewing All 54 Disney Animated Films And More! Pingback: Family Movie Night: Song of the Sea | Reviewing All 54 Disney Animated Films And More! 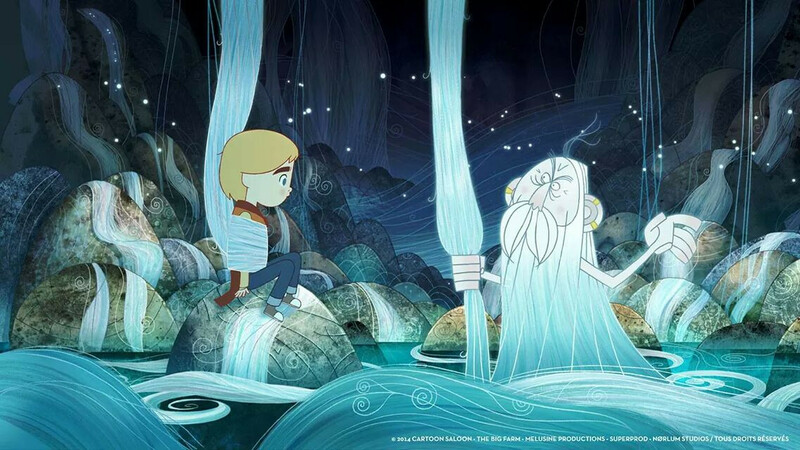 The studio website http://www.cartoonsaloon.ie has the soundtrack CD for sale.